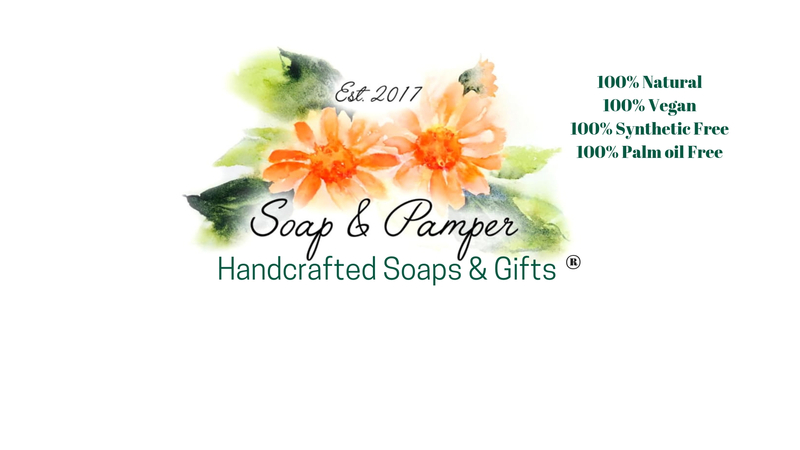 This handmade all natural soap is scented with Lavender & Lemongrass essential oils. It can be bought singly or as part of a the soap bundle offer. Essential oils : Lavender (Lavandula angustifolia), Lemongrass (Cymbopogon Citratus), Alkanet Root (Batschia Canescens), Citral*, Coumarin*, Geraniol*, Linalool* & Limonene*. This handmade natural soap is a graceful smelling soap which brings together two well known essential oils. Lavender is perhaps the most recognised essential oil and is one that is recommended as a ‘must have’ by aromatherapist. It is known to have a calming affect on the soul and on the mind. In addition, it aids the regeneration of skin cells so it is perfect for ageing skin or those who suffer from acne or spots. Lemongrass acts like a tonic in its own right, it is both stimulating and refreshing. Put these two essential oils together and you have a soap that helps wash away your troubles and soothes and calms your mind allowing you to relax and breathe. Lavender & Lemongrass Soap can also be bought as part of a gift set or basket. All my soaps are handmade by me in Plymouth, Devon using all natural vegan ingredients. In addition they are also palm oil free along with being free from SLS and parabens. This all natural vegan soap can be bought singly or as part of the soap bundle offer.